Gidi Ifergan presents a musical testament charting his own journey from Israel to Australia, using the specially commissioned works of composers from both countries, written for a variety of instruments to surround the guitar. 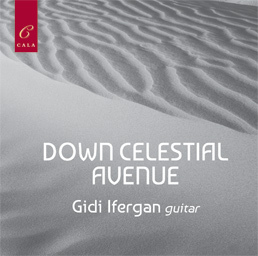 This album features in the Spring 2019 edition of Classical Guitar Magazine. Click here for the web version, including Gidi discussing the music.